We are here to serve you! Most orders ship within 24 hours. 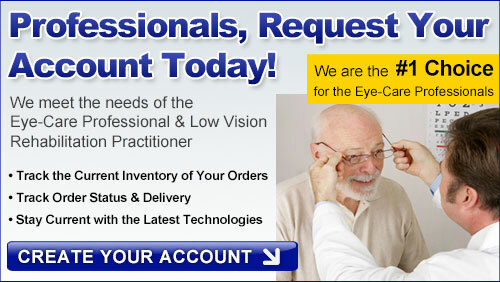 Shop seven days a week, 24 hours a day from the largest selection of low vision products. We offer safe and secure online ordering. For many years, See-More Vision Aiding Products has been helping the eye care professional to meet the needs of their low vision clientele. We have been successful in providing the largest variety of high quality products, low prices and superior customer service.In addition to optical products, we offer a large selection of non-optical devices including adaptive technology products. For quantity purchases on non-optical products, please call for pricing. Government and Agency Bids are Welcome.